Time for another round of "Who's Instagram photos have I been saving for use as reference when purchasing clothing this time?" (Or something like that, also known as my Style Muse posts). I tend to go back to a select few style muses throughout the seasons - women who never fail to spark some form of inspiration for my own sartorial choices. 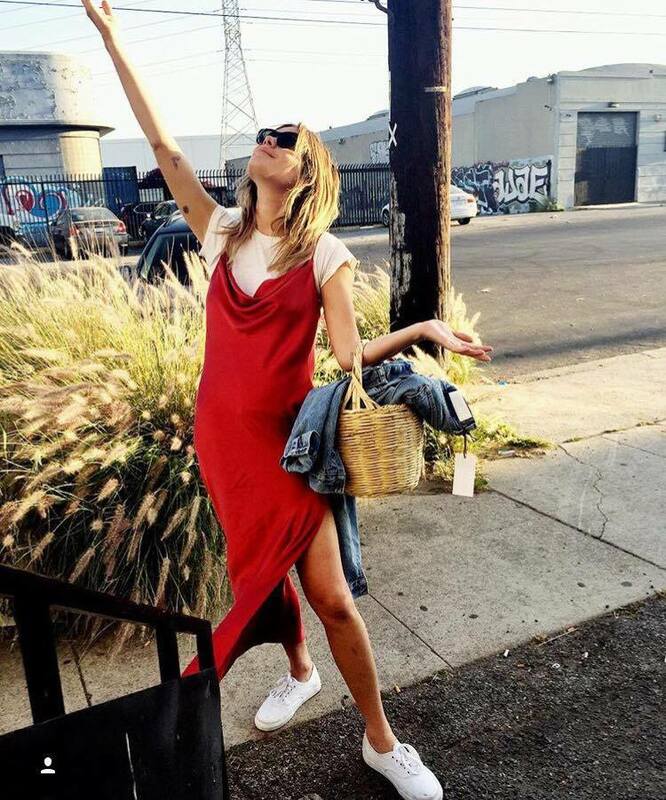 However, this end of summer / early autumn season I've looked most repeatedly toward the French-American model Camille Rowe. I carry macrame bags and baskets for purses now. I have embraced my collection of vintage clothing and love of jeans. 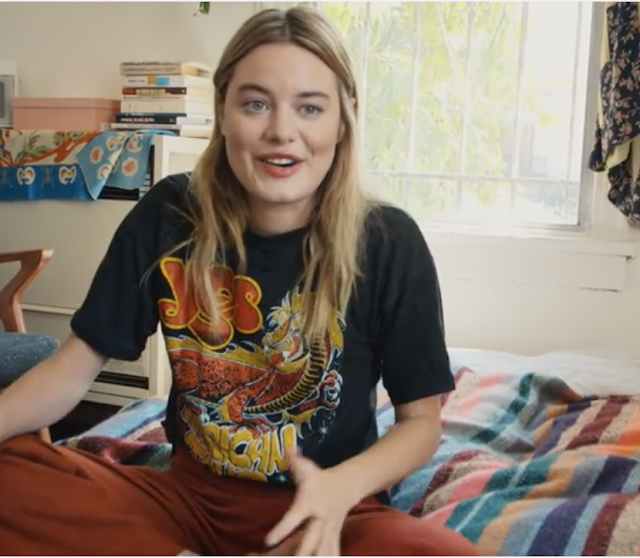 I've switched to wearing vintage Levi's 90% of the time (that part of my life I think I owe in equal parts to Man Repeller and Camille Rowe). I have a stack of tees bigger than I've ever had and I'm excited to see how it all transitions into "cold" weather of the LA fall/winter season. It's a nod to the 70s as much as it is my own newfound connection with to a more laid back, casual style. I - along with other subscribers of the British Vogue Youtube channel - was recently blessed with a 3 part series called "What on Earth is Wellness?" hosted by / starring Rowe (their previous series hosted by Alexa Chung was amazing as well, please watch). It was the perfect series for me really, as I am (obviously) in love with the wellness movement and happen to live in Los Angeles, where according to the series Camille now lives and where the episodes were filmed. In addition, it documents a week-long journey through the various meanings of "wellness", which means a week's worth of outfits. I mean. Anyway, back to our regularly scheduled programming, ha. Naturally, there are certain aspects of other people's style that we take to heart and want to replicate in our own wardrobes - and others that we do not. I think that is the magic and beauty of personal style - that you innately are able to curate your pieces into something that becomes a reflection of your own life. Fashion is fun like that. With the images of Rowe that I save I like to look at the way in which certain cut and fits of denim look, how a certain pair of shoes pairs with a casual tee, or what sunglasses look cool with flared denim and mules. I also love to see outfits that look comfortable and don't involve jeans - I have a hard time wearing anything else these days. What I love most about "it girls" like Rowe is the accessibility that is very much not characteristic of the usual fashion week type "inspo" pictures that float around Instagram. With things like vintage denim and and slouchy tees, it's so much more about the material and the fit - the kind you get from cotton fabrics and multiple wears. Dry cleaning not required.